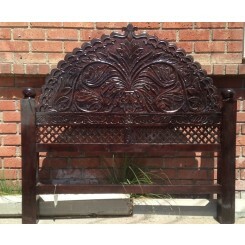 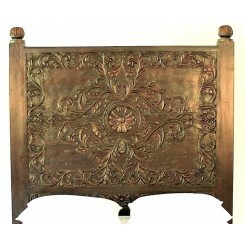 Add palatial charm to your bedroom, with rosewood headboards carved in original Indian inspired designs. 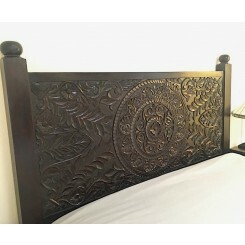 The floral pattern and grillwork featured on the Carved Lattice Headboard resemble the screens of the Zenana balconies. 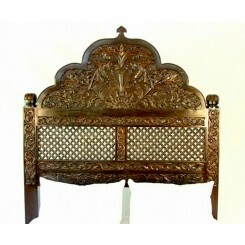 The palatial arches of Gujarat are depicted in the Devi Headboard, crafted from solid Indian white rosewood. 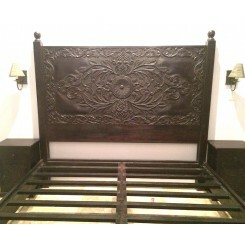 Match the headboards with a simple or carved wooden bed frame and turn your bedroom into a palace fit for royalty. 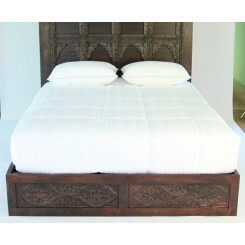 The wooden headboards and carved frames are hand crafted by trained artisans in the desert of Rajasthan.